Help provide opportunities to families and communities living in poverty. 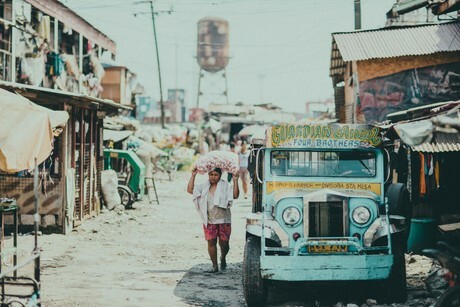 In the Philippines, 2 in 3 families don’t have a bank account. Without one, they use informal and risky means to save, borrow and manage the little money they do have. You can help train a network of local community agents across the Philippines who can enable families to make safe and secure digital financial transactions. With an agent in their neighbourhood, a woman growing her own small business no longer has to wait for a loan officer to provide funds – or spend time and money traveling long distances to a bank to deposit her earnings. Instead, she can easily make loan repayments, pay her suppliers or receive funds for orders from neighbouring cities through her local agent. • Women using small loans to manage their finances – both for their businesses and their families. Please, will you help deliver innovation to families in poverty so they can have a more secure future?. More and more community agents are joining Opportunity’s digital payment platform, ‘OK Remit’, currently at 9,500 agents and growing. 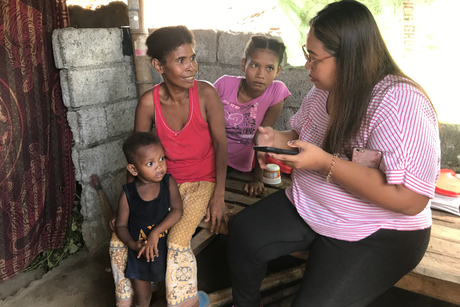 With our microfinance partners in the Philippines embracing the platform, women taking out small loans are benefitting from more convenient ways to receive and repay their loans and make other financial transactions. Funding will be directed to the area of greatest need within the proposed program. Sometimes programs may change in scope and in this case, Opportunity may redirect funding to a suitable alternative program.